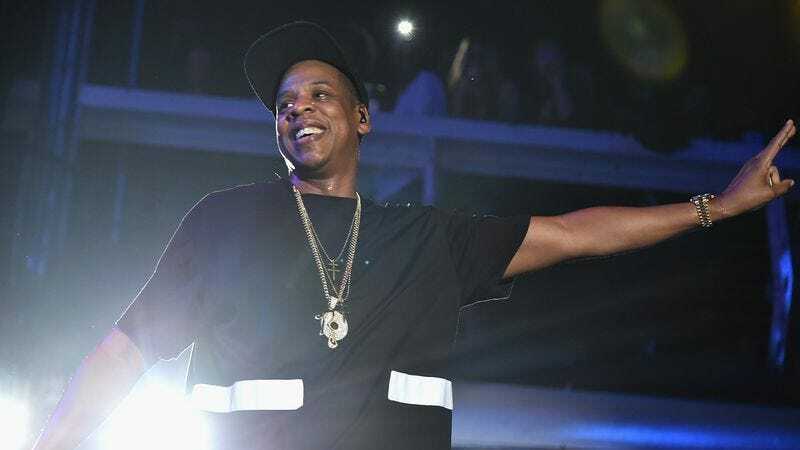 Jay Z and his cool/rich buddies launched Tidal more than two years ago, but it seems like he just got around to pulling his music from Spotify, his streaming service’s biggest competitor. This comes from Billboard, which spoke with a Spotify representative who confirmed that “some of [Jay Z’s] catalog has been removed at the request of the artist,” but the use of “some” there seems to be an understatement. Apparently, the only times Jay Z appears across the entirety of Spotify now are on the R Kelly collaborations Unfinished Business and Best Of Both Worlds, as well as a handful of singles he did with other artists. As Billboard points out, Jay Z’s decision to pull his music from Spotify comes as Tidal “remains a distant finisher in the opaque streaming marketplace.” Spotify has about 50 million subscribers, Apple Music has about 20 million, and Tidal is estimated to have about 3 million—a number that’s “on par” with Napster and something called Deezer.